Lately there’s been some talk about the value of the physical examination. It’s my sense that this discussion was sparked by a lovely piece by Danielle Ofri published two weeks ago in the New York Times. In that, Dr. Ofri describes a patient’s visit in which, toward the end and almost as an afterthought, she pulled out her stethoscope and performed a physical exam in a perhaps cursory but essential, thoughtful manner. It happens I know something about physical exams. 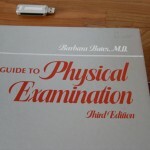 Early in my years as a junior faculty member at Cornell’s medical school, around 1994, I was assigned to teach physical examination to second-year students during each of two consecutive spring semesters. 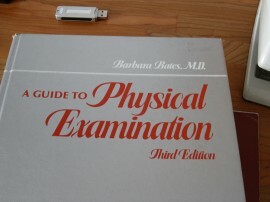 To prepare for teaching, I carefully reread my copy of Bates’ Guide to Physical Examination. Together, my students and I listened to normal and abnormal heart sounds. We looked in each others eyes with ophthalmoscopes. We visited some of my patients with lymphadenopathy (swollen glands), big livers and palpable spleens who were willing to let us learn from their pathological physical findings. We listened and described course and fine rales on some pneumatics’ lung exams, and checked arthritic joints for swan-like deformities characteristic of rheumatoid arthritis. We examined patients’ petechiae, purpura, ecchymoses and more, and discussed the differences among those findings and what they might signify. All of this we did without CT scans or echos. I know also, as a patient, that physical examination can be life-saving. Once, when I was in the hospital as a child and had unexplained fevers after surgery, it seemed for a while that no one could figure out what was wrong. I was terrified. The surgical team consulted with an infectious disease specialist, who as I recall ordered a whole bunch of unpleasant tests, and then my dad – a physician – noticed that one of my legs was more swollen than the other. He realized, based on my physical exam, that I might have a blood clot. It turned out that he was right. So I agree that the physical exam is humanizing. So much so that, later in my career when I routinely donned space suit-like gowns and masks on rounds for the leukemia and bone marrow transplant services, I became frustrated by those barriers, and by the very lack of touch which, I think, can help patients heal. But what’s also true, in a practical and bottom-line sort of way, is that a good physical exam can help doctors figure out what’s wrong with patients. If physicians were more confident – better trained, and practiced – in their capacity to make diagnoses by physical exam, we could skip the costs and toxicity of countless x-rays, CT scans and other tests. 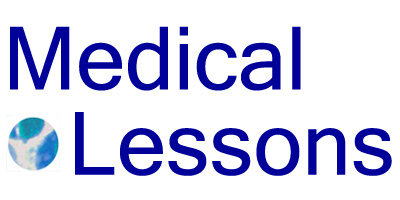 Recently I wrote a piece on medical education and going back to basics. The physical exam should be included, for sure. Sadly the trend towards physicians who rely on lab results and MRI to make their diagnosis is the rule rather than the exception. As a med mal defense attorney for over 16 years and a registered nurse I am increasingly disappointed with young physicians who couldn’t begin to diagnose their patient with nothing more than a stethescope. Not only is the physical exam essential, like all skills it takes practice to become proficient. Physicians intuitively gather information during a physical exam. It is disappointing to see them disregard their examination and “order a test” using liablity as an excuse. As an attorney I believe that a thoughtful and thorough exam is a better defense. Hear, hear! A fabulous post. There is still much to be learned by the laying on of hands. Read your post via Grand Rounds. Traditional Chinese Medical doctors used to just check the pulse, but that touch is so magical, I well remember from my childhood days. Here Here!! I am always amazed at the number of OBs that use ultrasound to routinely determine a baby’s position. All of my practitioners (an older OB with my first, midwives with my second and third) have simply examined my stomach with, GASP, their hands!